Further to my 9 August Inside Higher Ed post on unexpected leadership change at the University of British Columbia (UBC), I was recently asked by Lori Culbert of the Vancouver Sun to comment on the possible impacts of this type of change at a large public research university in North America. Her article — ‘UBC: A leadership shakeup can affect planning, funding and reputation’ — was just posted tonight. I’ll add it to the long list of articles, blog entries, etc., I’m compiling on a new Facebook page (UBC Futures) that is an archive of sorts of everything (regardless of perspective) written about what has become a full-blown crisis. UBC Futures is modeled on the BadgerFutures: Resources for Debates about UW-Madison’s Future Facebook page, which has been operating since 2011. Inevitably my comments to the Vancouver Sun were edited down to fit the format of a newspaper story. Given this I’d like to flag, here, what I said to Ms. Culbert. I’m partly doing this as UBC’s leadership has been remarkably stable since the era I attended it back in the late 1970s and first half of the 1980s. I also worked at UBC from 1989-1992, and spent one year (1995-96) at UBC as a SSHRC Postdoctoral Fellow (in part of the Strangway era). All I recall is leadership stability, as do most of the subsequent Piper and then Toope era employees and students. In contrast, I’ve been through a senior leadership roller coaster ride at one UBC peer (the University of Wisconsin-Madison), and learned much about UBC’s other peers down here in the U.S. via engagement with colleagues (faculty and senior administrators), so I’m keen to outline my view of the possible impacts of unexpected leadership change in large public research universities. As I noted in my 9 August entry, “[M]ake no mistake, this type of unexpected leadership transition is hugely significant.” But in what ways? As I told Ms. Culbert of the Vancouver Sun, the impact of unexpected and early senior leadership changes typically generate a mix of internal and external impacts, though these impacts will obviously vary from institution to institution. But it’s very important to be open, honest, and realistic about the impacts. First, internal resource impacts typically include: (a) the direct financial costs of an unexpected presidential search, typically equivalent to a full year of presidential salary; (b) the indirect financial costs of an unexpected presidential search (primarily the time allocated by a large number of faculty, staff, students and sometimes alum to the search process); (c) major yet diffuse institution-wide opportunity costs given widespread speculation, dialogue & debate about the causes of the leadership change as well as the implications of the change; (d) delays in fund raising and the implementation of major capital campaigns, typically led by the president (or equivalent); and (e) delays of high profile and often high impact strategic initiatives (e.g., funding of a new chemistry building or establishment of a new school). Second, there are a variety of internal organizational and governance impacts, including: (a) delays of key senior leadership hiring (typically at the vice-provost/vice-president level) until the new president is in place; (b) the creation of 1-3 years of uncertainty about the role of the provost and the nature of the president-provost relationship, which in most in universities is strategically coordinated (including with respect when the provost hiring cycle takes place); (c) delays in the formation of key relationships with deans and other senior staff; (d) delays in strategic planning at the university-wide scale, typically on a 1-3 year scale; (e) subtle but important changes in the criteria used when assessing prospective replacement presidential candidates; and (f) discussion & debate about the quality of governance at the university, and in some cases concern and distrust regarding the power politics associated with decision making. Finally, there are a variety of external impacts, including (a) a spike of curiosity and often concern about the nature and quality of governance, transparency and decision-making at the university, and (b) a delay in the formation of key relationships with important political leaders, leaders and key staff at major funding councils, and leaders of key foundations (mainly in the US). In the US unexpected leadership changes also raise concern within ratings agencies (e.g., Moody’s) for they have been paying increasing attention to the quality of governance and senior leadership teams when assessing universities. These impacts will obviously vary from institution to institution so if you’re reading this at UBC please keep this key point in mind. And some disruptive impacts can shed light on long-running problems and weaknesses, or engender positive medium-term change. 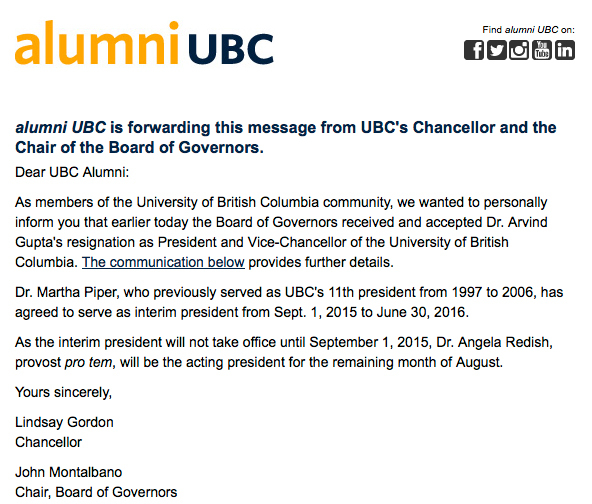 In UBC’s case, though, this unexpected presidential change is occurring on top of a number of other major leadership changes. 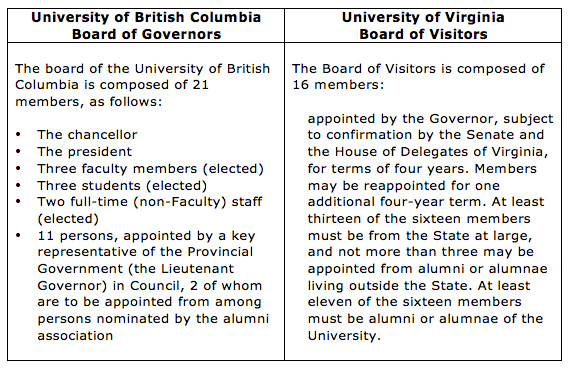 More specifically, UBC now “has an acting President, an acting chair, an interim Provost, and an incoming, interim President.” There’s “also an interim VP External/Communication, and a VP Finance that has been on the job for less than 100 days.” And one related question remains to be answered: how thoroughly were the internal & external impacts of an unexpected university leadership change thought through, costed out & aligned at UBC? Despite all of the above, large public research universities are remarkably resilient. When we went through several rough patches here at UW-Madison, faculty (including in the department I am now chair of) powered on, locomotive-like, doing what they have always done – excellent research, teaching/mentoring, and professional and public service. I know my colleagues down at the University of Illinois at Urbana–Champaign are doing the same right now despite recently losing a president, a provost, being sanctioned by the AAUP, etc, etc. This is not to say unexpected leadership change is easy to cope with (see my points above! 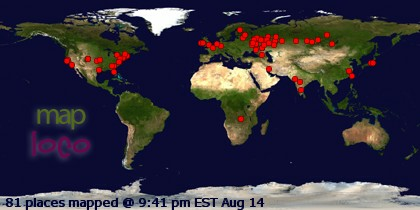 ), but just that the sky cannot fall on a defacto city with 70-90,000 energetic students/staff/faculty. But unexpected leadership change has high direct costs, and the opportunity costs are many. Good luck my dear alma mater. Note: this entry will also be available via Insider Higher Ed on 10 August 2015. The University of British Columbia’s Board of Governors regretfully announced today that President Arvind Gupta has resigned to return to the pursuit of his academic career. Dr. Gupta has made meaningful accomplishments in his tenure as president, but has decided he can best contribute to the university and lead Canada’s innovation agenda by resuming his academic career and leadership roles in the business and research community. “I want to take this time to thank Dr. Gupta for his service to the university community over the past year and acknowledge his hard work, integrity, and dedication,” said UBC Board of Governors’ Chair John Montalbano. “Dr. 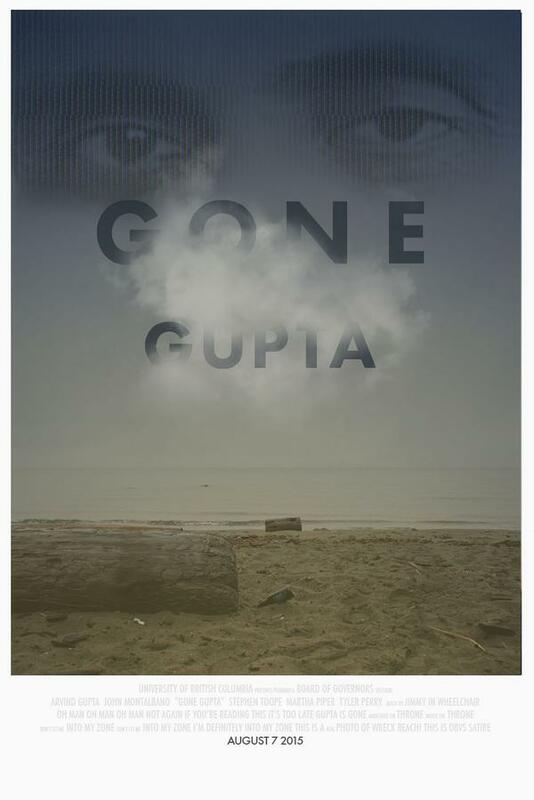 Gupta worked tirelessly during his tenure to advance UBC’s core academic mission. He also developed an emerging strategy to support diversity and under-represented groups in the university, enhanced the student experience through better services, such as improved access to mental health services, UBC successfully raised over $200 million in one of the largest fundraising exercises in its history, and he facilitated a $66-million research grant that is the single largest in the history of UBC,” Montalbano further said. Dr. Gupta, who has a PhD in computer science from the University of Toronto and was Chief Executive Officer and Scientific Director of Mitacs, a not-for-profit organization that fosters Canada’s next generation of global innovators, will return to UBC’s Department of Computer Science after his academic leave. This leave will enable him to focus on his research and scholarly work that will be of mutual benefit to Dr. Gupta and UBC. The university is delighted Dr. Gupta will continue to build on his accomplishments as a scholar and continue to engage on national policy on research, innovation, science and technology. The Board of Governors also announced that Martha Piper, who previously served as UBC’s 11th president from 1997 to 2006, will serve as interim president from Sept. 1, 2015 to June 30, 2016 while the university conducts a comprehensive, global search for a new leader. Dr. Piper received her PhD in Epidemiology and Biostatistics from McGill University. She has an extensive background in university administration, having served in senior leadership positions at McGill and the University of Alberta. Her work stewarding UBC to become one of the leading research universities in the world was recognized with the Orders of Canada and British Columbia. She is also a Fellow of the Royal Society of Canada. Since leaving UBC, Dr. Piper has served on the boards of numerous organizations, including Shoppers Drug Mart, TransAlta Corp. and Grosvenor Americas Ltd. She was Chair of the Board of the National Institute of Nanotechnology and served as a member of the Trilateral Commission. Currently, she is a member of the boards of the Bank of Montreal, CARE Canada, the Dalai Lama Center for Peace and Education, and the Canadian Stem Cell Foundation. 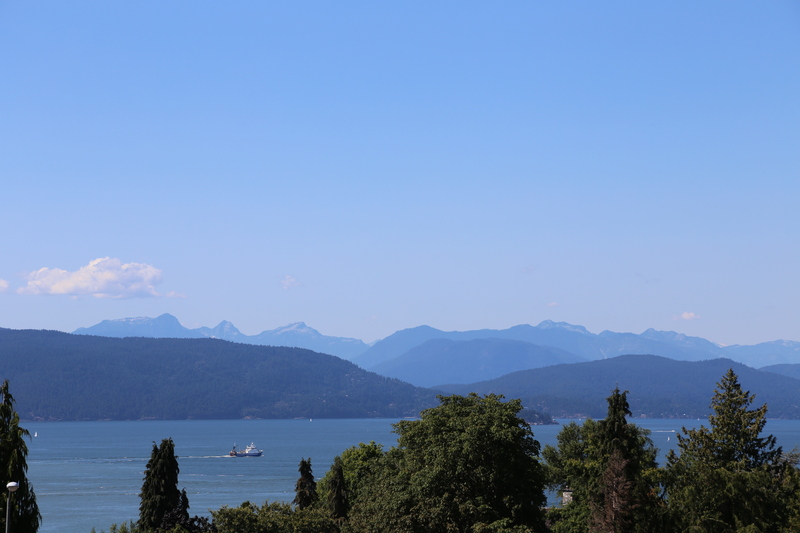 UBC is consistently ranked among the world’s top 40 universities, and has an operating budget of $2.1 billion, more than 59,000 students on its Vancouver and Okanagan campuses, and more than 15,000 faculty and staff. While the communication included some other information, this was it regarding the explanation for President Gupta’s unexpected departure: he had only been in the position since 1 July 2014 (see this timeline via the Ubyssey, a student newspaper) and was just beginning to pursue the agenda items outlined in his installation address. The Gupta agenda is also outlined on this Office of the President webpage, and was presumably outlined when he was interviewed for the position in early 2014. Gupta declined to comment Friday, saying the news release should speak for itself. 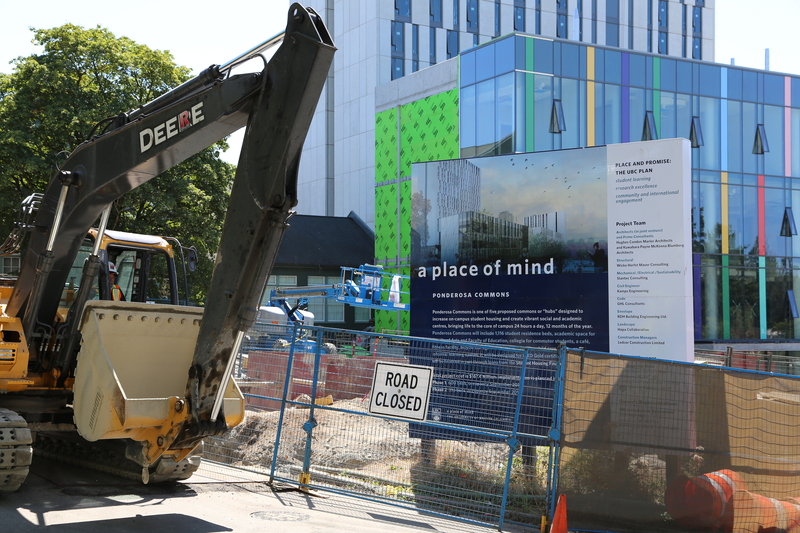 Gupta wasn’t quoted in the announcement, which UBC’s managing director of public affairs Susan Danard said was his choice. As it made the unexpected announcement on Friday, the chair of the board of governors at British Columbia’s largest university said no disciplinary issues prompted the resignation of Arvind Gupta. “None whatsoever. Let me be very clear. None whatsoever,” John Montalbano said in an interview. He said Dr. Gupta recently decided he could better contribute to the university in a senior role in its computer-science department. As someone who has studied, worked and/or been associated with universities in Canada, England, China, Singapore, France and the US, I find all official university communications intriguing and worth taking seriously as an object of study. In this case, I’m perplexed by the lack of detail in the official communications about why and how the resignation occurred (which was not helped by a Friday afternoon release in middle of summer – note to Communications chief: bad timing idea!). All alumni like myself are left with is perusal of some speculative blog/media entries (see here, here, here, and here), speculative tweets, and this satirical poster floating through the Twitterverse on the weekend. Make no mistake, this type of unexpected leadership transition is hugely significant. When Mr. Montalbano suggested in the Globe & Mail that a university president is defacto as disposable as a Swiffer Duster, it made me wonder if something else is going on and if risks are being taken with the future of my alma mater. Or maybe not? I just don’t know. 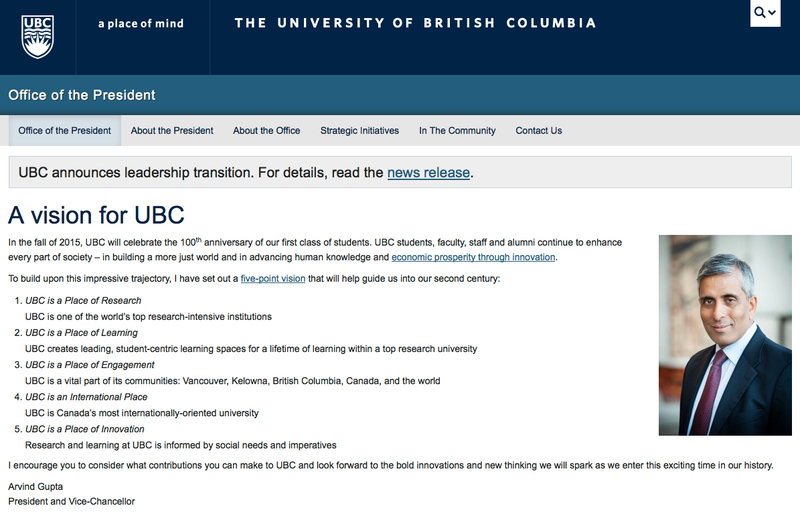 Regardless, I would argue that UBC’s communication about this issue, to-date, is inadequate. It’s somewhat concerning that initial engagement with the media demonstrates a lack of understanding about the communicative politics of major institutional change, circa 2015, in an era where social media use can quickly impact an institution’s reputation — this is something we have been learning a lot about at the University of Wisconsin-Madison over the last four years. Given that I don’t know what is going on at UBC, I’m going to move this blog entry forward via a series of reflections (formed into lessons) derived via a crisis at the UW-Madison in 2011-12 that was implicated in the resignation of our president equivalent after just three years in the position, and via the University of Virginia leadership crisis of 2012 that I wrote about in Inside Higher Ed here and here and that is summarized in this lengthy New York Times Magazine story. I’m also aware of multiple dimensions of the ongoing crisis (saga, really) at the nearby University of Illinois at Urbana–Champaign that also led to the resignation of President Phyllis M. Wise last Thursday, and an ongoing brouhaha about modes and legality of communications about the crisis. The first lesson is that an early lack of transparency and full communications can heighten the risk of a major crisis erupting. Amidst the debates and crises at UVA, UIUC, and UW-Madison, attempts to release highly selective forms of information to manage/control/shield formal and informal negotiation processes, maneuvering, agreements/disagreements, tentative deals, etc., all failed. A case in point is the communication announcing President Sullivan’s resignation at the University of Virginia, one that was eventually rescinded. What this did was to generate suspicion and enhance the drive for even more information, almost on an exponential basis. Open up, be direct, be clear – ideally as direct and clear as we are with our students about their papers/draft research proposals. It’s worth noting, too, that almost all of the initially shielded forms of information at UVA, UIUC, and UW-Madison eventually came to light and when they did the unveiling process generated mistrust, even more floods of freedom of information (FOI) requests, conflict, and some protests. This is not to say there is not a rationale for trying to manage the communications process, or that there are better times than others to open up about key decisions, but it is abundantly clear that managing a crisis (even on “a languorous Sunday in June, low season on the campus of the University of Virginia“) is not made easier by being vague, unclear, and by playing down the significance of a historically significant decision. An unexpected leadership transition costs substantial amounts of money, the delay of a multitude of key decisions/initiatives, and generates tens of thousands of hours of direct and indirect work for the university as a whole. An unexpected senior leadership change 13 months in, as per the UBC case, is sign of a crisis of one sort or another, it will cost, and given this it’s critically important to be open and clear about said costs. The second and related lesson is that key decisions need to be communicated about with reference to process descriptors, with these descriptors tied to established/mandated governance processes and governance structures. Most North American universities have ‘shared governance’ systems of one form or another, whereby faculty, staff, students, and other stakeholders (including board of trustees or governors) engage to ensure universities operate as effectively and efficiently as possible. And there are ‘governance pathways’ for most key decision, including for those associated with hiring, dismissals and acceptance and/or encouragement of resignations. It is important to outline the detailed governance pathway associated with key decisions, including attention to who decided what, when. The surest way to generate a wave of even more FOI requests, all enormously time consuming to respond to, is by being unclear about process vis a vis governance structures and rules, formal and informal. The third lesson is that the crises at UBC’s peers in Virginia, Wisconsin, and Illinois reflected, and captured the essence of, fundamental changes and points of conflict about the mission of research universities, changes in governance processes and structures, differing visions for the future of the university, and conflicting perceptions of optimal forms and styles of senior ‘leadership.’ An existential crisis of sorts is occurring in many (most?) major public research universities and systems: from mission creep, to the pressures associated with austerity, to the (in the U.S. at least) defacto end of the social contract supporting public higher education, to the emergence of more active and sometimes politicized governing boards with less interest in broad oversight and more in detail, significant change is underway. The unexpected leadership transitions at UVA, UW-Madison, and UIUC generated enormous attention to the cultural, economic, and political forces reshaping these universities, as well as associated lines of power that bring these forces to life. A crisis is a wonderful teaching and learning moment. Use it, and be prepared to see it used, for this is what a university is all about. Note: this entry is also available at Inside Higher Ed in a format more amenable for sharing & printing. The capital cities of Riga (Latvia) and Yerevan (Armenia) have marked milestones in the history of the Asia-Europe Meeting Education Process (ASEM Education Process) and the European Higher Education Area (EHEA) respectively by hosting two significant regional ministerial meetings in April and May this year. Each meeting gathered around 50 national delegations and many regional organisations to develop and renew a vision for the future development of higher education. The most important policy documents publicised at these two events are the ASEM Chair’s Conclusions and the Yerevan Communiqué. The EHEA’s vision by 2020 is ‘to enhance the quality and relevance of learning and teaching; to foster the employability of graduates, to make the systems more inclusive; and to implement agreed structured reforms in all member countries’, whereas the ASEM’s vision is to create a ‘single higher education area linking Europe and Asia’ where ‘mobility of students, teachers, researchers, ideas and knowledge would be the core common goal’. Despite the differences in geographical boundaries, purposes and stages of cooperation, the two groupings share a common feature: ‘creating regions of higher education’. Over the years, these regional spaces have not only influenced policy making at the national level, but also reshaped the landscape of global higher education. This educational regionalism has changed the ways people organise places, spaces and institutions when thinking about higher education. Regionalism has the capacity to shape patterns of human activities, such as trading and movement of people, including students and scholars. The process of economic regionalisation has become a trend in different parts of the world after the Second World War, noticeably in Europe, South East Asia, North and South America, and the Asia-Pacific Rim. Observations show that economic regionalisation often heralds educational regionalisation and the two processes become inextricably intertwined. These arguments are supported by the fact that most higher education regions which have recently been created around the world (e.g. ASEAN Community, UNILA – MERCOSUR´s Educational Sector (SEM), the Gulf Cooperation Council, Caribbean Community, etc.) are driven by the knowledge economy agenda. The Bologna Process, which gave way to the EHEA in 2010, is an excellent example of a region where higher education is seen as vital intellectual resource for economic recovery and expanding knowledge economy in Europe. Not only did the EU’s Lisbon Strategy spell out the concern for European competitiveness, which increased the concern for the competitiveness of its higher education systems. The Bologna Declaration, signed by the EU members and the then EU candidate countries in 1999, inter alia, referred to economic competition while setting out a vision for a ‘Europe of Knowledge’ by stating that “we must in particular look at the objective of increasing the international competitiveness of the European system of higher education”. Also at the national level, although joining the Bologna Process is voluntary, the motivation of countries is very diverse. In many cases it was highly political and rested on an assumption that joining one of the European ‘clubs’ was a step closer to gaining full membership in the European Union. In other cases, becoming a part of the EHEA is a branding exercise for publicity or for gaining access to a larger market for international students. The EHEA did not exist as a region by itself, it has been constructed by people’s ideas and it has been talked about for more than a decade. Since it has been talked about, it starts existing. The EHEA has been transformed from an abstract concept into an entity which has the capacity and power to act as a competent player in higher education. This is reflected in the common utterances, such as ‘the EHEA mobilises a change in teaching methods’, ‘the EHEA promotes improvement in the quality’, ‘the EHEA enabled many education professionals to adopt new teaching methodologies’. Furthermore, in the Yerevan Communiqué, we can see similar expressions, ‘the EHEA has a key role’, ‘the EHEA faces serious challenges’, ‘the EHEA has opened a dialogue with other regions’. Of course a region is a concept and it cannot actually say or do anything. Only people can speak and act, therefore a region does not exist without people. And certain people can act on behalf of the nation state and collectively they influence policy development for the entire region. For instance, an official document from Yerevan ‘The Bologna Process revisited: the future of the European higher education area’ describes the mission of the EHEA, such as the EHEA is expected to facilitate a student-centred learning approach, ensure higher education be a public good, respond to demographic changes, contribute to scientific research, make the best use of technological developments, even react to conflicts between countries and to political extremisms, and to turn the current economic crisis into new opportunities. The list of active verbs goes on further, but as it stands it already makes the job of the European education ministers more challenging than ever before. The Budapest-Vienna Communique 2010 assigned an extended responsibility to the ministers from being ‘responsible for higher education in the countries participating in the Bologna Process’ (§1) to become ‘the Ministers responsible for the European Higher Education Area’ (§12). Thus, creating a region in the EHEA case is not only an aspiration, but a conscious act with concrete goals. However, whether or not such goals materialise is a complex process depending not only on the ability to achieve goals, but also on the existence of other regions that are willing to recognise a region as a region. Both the initiators of a region and those who acknowledge the region as such can be regarded as ‘region builders’. Therefore at the Berlin Ministerial Conference in 2003, the European Commissioner, Viviane Reding, supported the idea to “develop an active dialogue with other continents” because “the fact that the whole world is watching us increases our joint responsibility to make the Bologna reforms a success”. Later, this idea was developed into the Bologna Policy Forums and other projects that help construct other regions. At the recent meeting in Yerevan, a member of the Board of the Bologna Follow-up Group, Sjur Bergan, re-emphasised “the EHEA has so far rarely been ignored, and one of our tasks is to make sure it does not suffer this indignity in the future” and “if we want other regions to be inspired by the EHEA, we need to show that we take our own commitments seriously”. Keeping the commitments to implementing the agreed structural reforms puts financial pressure on many member countries, thus also creates business opportunities for the World Bank, whose representatives were invited to the Yerevan forum to offer policy solutions to their ‘customers’ and ‘partners’ on how to make regional cooperation permanent and ongoing. ASEM – an Extension of the EHEA or a New Education Area? Inspired by the success of the Bologna Process in creating convergence across (now 48) higher education systems, European and Asian ministers of education attempted to strengthen the connections between the two continents by forging high-level strategic partnerships and launching the ASEM education process in 2008. Although the ASEM education process is nine years younger than the Bologna Process, it has created a larger group involving 51 European and Asian countries, two international entities (the European Union and the ASEAN Secretariat). It also exemplifies an extensive region-making project in the higher education sector with its borders stretching eastward from the Atlantic coast of Europe to Oceania. ASEM represents half of the world’s GDP, more than 60% of the world’s population and around 60% of global trade, according to Eurostat figures in 2014. Region in the ASEM case goes beyond the conventional concept of region that is based on geographical proximity. Rather it is an imagined community constructed in a political process in which different higher education discourses compete to construct social meanings and to make what is not natural appear natural. In other words, higher education is seen as a noble means to strengthen the ties that bind Asia and Europe together. The agenda of the ASEM education process, consisting of four priorities: quality assurance, balanced mobility, engaging business and industry in education, and lifelong learning including TVET, seems to resemble some of the action lines of the Bologna Process. This resemblance manifests the European soft power which Joseph Nye defines as “the ability to get others to want the outcomes that you want” and “the ability to shape the preferences of others through attraction and co-operation rather than coercion”. When other countries and regions look to the Bologna Process for good practices, values and ideas, soft power is taking root. Academic exchanges and student mobility are central to the soft power theory. The stories about the sons and daughters of Asian leaders as examples of foreign elites studying in Europe are not new, but creating a whole new education area for increasing two-way mobility among the ASEM countries is indeed a novel idea. Nonetheless, this idea together with the overlapping membership of 33 EHEA members seems to make the ASEM education area an extension or replication of the Bologna Process. At the recent ASEM ministerial meeting in Riga, the European Commissioner for Education, Culture, Youth and Sport, Tibor Navracsics, explicitly suggested “despite a wide variety of languages, cultures and specific structures in the different countries, Europe’s higher education systems are comparable and compatible. Why shouldn’t we be able to replicate a similar system across Europe and Asia, in particular with the support of Erasmus+ and our expertise?”. Ironically, in the first half of his keynote he emphasised the current situation in Europe, where “more than six million young people are unemployed in the EU with peaks of more than 50% in some member states. Even more alarmingly, 7.5 million young Europeans between 15 and 24 are neither in employment, nor in education or training”. This fact made the audience at the meeting, especially those from Asia, wonder why other regions are to replicate the Bologna model of higher education. Three weeks later, at the Yerevan meeting, Sjur Bergan, said “the EHEA has largely been in the ideal situation [to be loved], at least if we believe that emulation is the most sincere form of flattery”. Perhaps Mr Bergan did not mean the kind of ‘funded emulation’ in the name of capacity building projects which are heavily sponsored by the European Commission, such as EU SHARE for the ASEAN region and ‘Intra-ACP Academic Mobility Scheme’ for Africa, the Caribbean and Pacific regions. These projects, in essence, are a deliberate act to build and/or strengthen other higher education regions, and synchronize them with the EHEA. The Bologna Process has been perceived by many in both academic and policy communities as an internationalisation process of higher education. This article, however, sees the Bologna Process as a region-making project with the EHEA as a work-in-progress and an outcome. This pan-European project has impacted on other regional initiatives around the world, especially in Asia, through a very powerful discourse on the construction of a higher education space. Such abstract ‘space’ increasingly affects the ways in which other regions come to conceive, understand, plan and organise their higher education systems. Despite a strong influence from the European partners, the ASEM education area – though still in the making – manifests a hybrid form of regionalism combining Asian and European expertise and agendas. 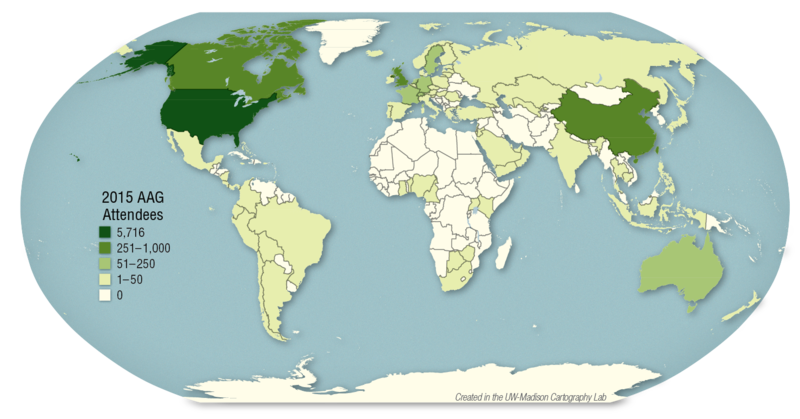 Many higher education regions are being constructed around the world. Let’s hope they are about advancing scholarship, connecting cultures and individuals, and about building a different future instead of reshuffling old ideas, pandering to economic concerns, or playing to the hegemon’s tune. Link here for the Inside Higher Ed version of this entry which can more easily be shared & printed. Nearly 9,000 people, myself included, attended the annual conference of the Association of American Geographers (AAG) in late April 2015. The size of the conference has been growing over the last several decades and it has become a de facto international gathering despite the ‘American’ moniker; a trading space of sorts to present papers, share ideas, formulate collaborative research proposals, source prospective faculty, share gossip, have good times, etc. Of the 8,950 people who flew/drove/trained it to Chicago this April, 5,716 came from the US, 726 came from Canada, 666 from the UK, 257 came from China, and nearly equivalent numbers (35 vs 37) came from Singapore vs Mexico. All told, attendees came from 84 countries in total and they’re mapped out below courtesy of my department’s Cartography Lab. Needless to say this map highlights a highly uneven pattern of attendance with curiosities such as why are there so few geographers from nearby Mexico at the event, or why are more Canada-based geographers attending the AAG versus than annual meeting of the Canadian Association of Geographers (nearly 400 will be attending that event in lovely Vancouver shortly). This year’s AAG conference received a lot of very positive feedback (e.g., see posts by Jeremy Crampton and Rachel Squire) in part because of the nature of how well the event was organized, the scale of the event (the largest ever, meaning people are finally accepting it for what it is versus wishing it were a smaller & easy-to-manage gathering), and the iconic setting of downtown Chicago. Christy Wampole’s response, appropriately titled ‘Response to Responses to “The Conference Manifesto“‘ is worth a read too. 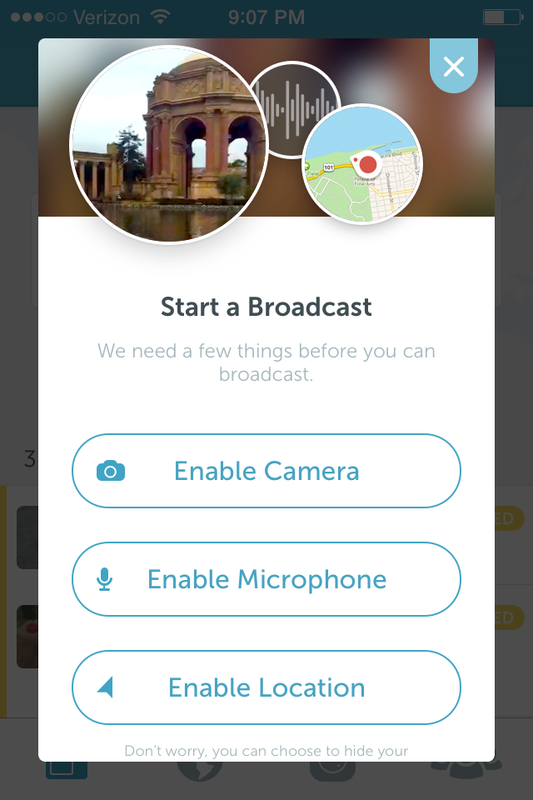 Periscope is a “teleportation device” – a mobile app that allows anyone to broadcast what they’re experiencing, and anyone with a link to the stream to watch, for free. 1) Most disciplinary associations are already behind the ball with respect to live streaming conference sessions, even keynote/plenary sessions, on platforms such as YouTube. Some keynotes or prominent panels are recorded and posted, though in highly variable patterns. In short, most academic associations lack the capabilities to strategically think through and adjust to the demand for live and on-demand video and audio (e.g., via SoundCloud). 2) Given (1), most disciplinary associations have limited capability to cope with what happened in the Floyd Mayweather Jr. vs Manny Pacquiao boxing match – individualized live-streaming, via mobile apps, of performances. 3) Faculty, postdocs and graduate students may, for good and/or bad, be increasingly live streamed in their sessions. Who knows, for example, who’s just taking a photograph of a session or else live-streaming an entire talk. How will speakers message out their desire not to be recorded? Do associations need to “ask speakers to explicitly label if they don’t want content tweeted” (or periscoped) or put symbols on slides “with data not for dissemination“? Will specialty groups, like the Economic Geography Specialty Group (EGSG) that I recently chaired, coordinate streaming of select sessions? Will/can/should these recordings be archived and assembled into a disciplinary-specific content repository, effectively morphing conference sessions into open educational resources (OERs) for use in courses? 4) The broader implications of mobile app-based streaming has yet to be thought through. If this phenomenon takes off will this open up access to conferences and better serve members of associations? Will this enhance or reduce prospective national and global demand to attend conferences once people see talks, dialogues, etc., including some like the sessions/conference practices critiqued by Christy Wampole in ‘The conference manifesto’? Will streaming enhance access to sessions for those with limited resources to travel all the way to an expensive city like Chicago, and/or will it enhance anxiety re. missing out (assuming the streamed sessions are indeed high quality)? And will this phenomenon ramp up the use of Twitter in academia? These are but a few preliminary thoughts on the potential implications of video streaming mobile apps for academic conferences. We’re unlikely to see the same types of debates about video piracy as those associated with high profile boxing and other sporting events, but academics and our associations are not immune from the potentially unsettling/exciting dynamics of a sea of free ‘teleporting technologies,’ downloaded in mobile phones, digitizing our bodies, voices, and ideas, for anyone who has access to the associated feed.